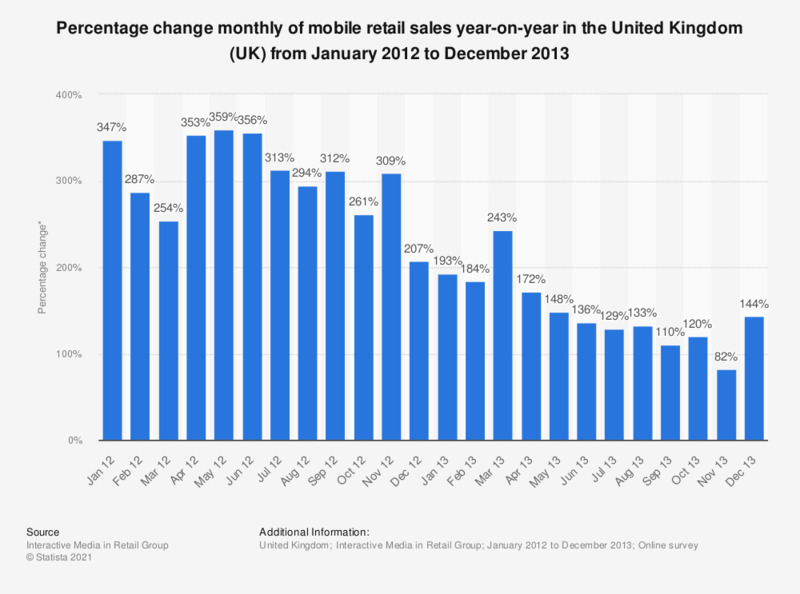 This statistic displays the mobile retail (m-reatil) sales trend monthly in the United Kingdom (UK) from January 2012 to December 2013. In December 2013, mobile retail sales were up 144 percent on December 2012. * Percentage change on same month a year earlier.